In 2008, the cargo port of Helsinki was relocated from the western part of town to a new location east of the city. As a result of this, the excavated railroad connecting the old port with the central station became obsolete. For the most part, this railroad has been dug out and lies several metres below street level with seven bridges connecting the neighbourhoods on either side. In the old harbour area, a new house development was planned and a good connection to the city centre was needed. To provide such a connection and to promote public transport and cycling and reduce car use, the old railroad trench was transformed into a corridor for pedestrians and cyclists. On Helsinki Day (June 12th) 2012, Baana, Finnish slang for ‘railroad’, was opened. When the corridor was still used as a railroad, it formed a dark and unpleasant division between the two neighbourhoods on either side. 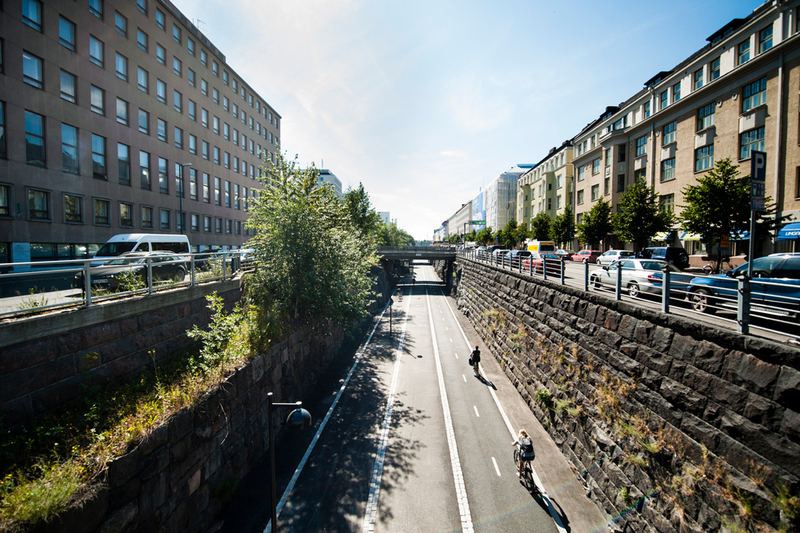 Once the railroad closed down, the City Planning Department of Helsinki Municipality redeveloped the corridor into a route for pedestrians and cyclists, removing the barrier and increasing accessibility between the adjacent neighbourhoods. By outfitting the route with sport facilities, green spaces and picnic tables, an urban living room was created to draw people in. The railroad is sunk into the ground and provides a fast and safe route into the city centre completely separated from car traffic. The use of an otherwise unutilised space meant that there was no opposition to the project, as is often the case when new infrastructure infringes on existing users (e.g. motorists). The route is beneficial both for cyclists and pedestrians, who now have a fast and safe connection from the west part of the city to the central station, and motorists who will find less pedestrians and cyclists on the road, reducing the chances of accidents. In 2013, the first full year after its opening, 600 000 cyclists were counted on Baana. This number has increased by around 100 000 every year and the municipality predicts around one million cyclists will have used Baana by the end of 2018. Since the municipality cleans and maintains the route during winter time, Baana has 20% more users than unmaintained lanes during the winter. Due to the popularity of Baana, the city has plans to construct a continuous Baana network of cycle and pedestrian infrastructure going from the centre to all direction out of the city. 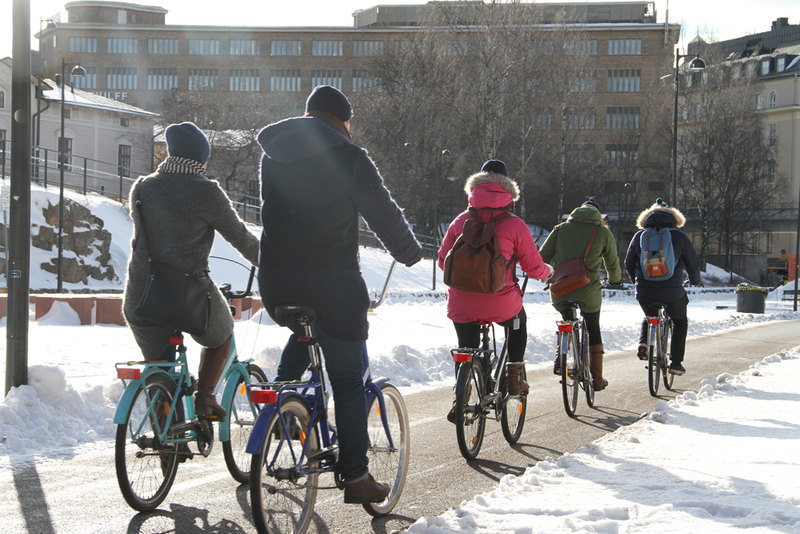 In 2017, the Helsinki Municipality dedicated 19 million EUR to improving cycling conditions in the city. In that same year, the 1.5 km long northern section was opened and other routes are being constructed. In ten years, the municipality plans to have a complete Baana network. Important lessons have been learned from the Baana project, particularly regarding the promoting of cycling and decreasing car use. Providing a safe cycle route into the city centre which is also faster than the car, proves essential in encouraging cycling. 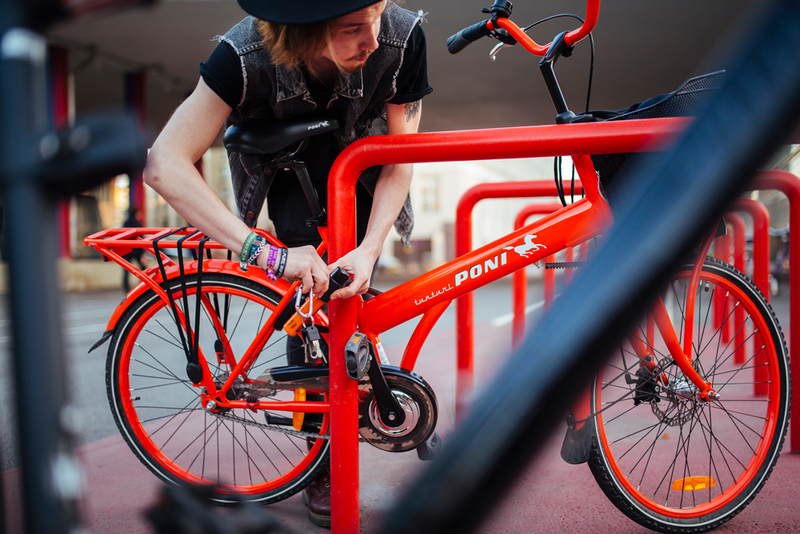 To further build on this, Helsinki is constructing a continuous, well maintained cycling network throughout the city. 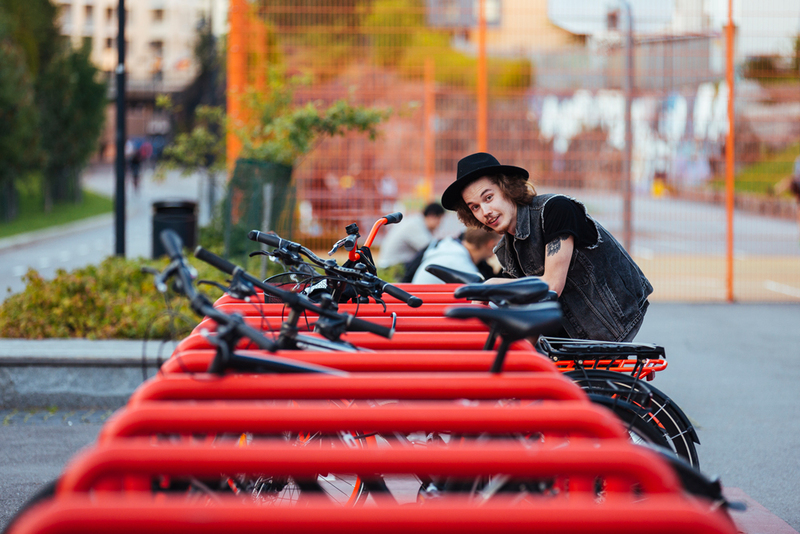 Their efforts have received attention from abroad, with the New York Traffic Planning Department and the Mayor of Buenos Aires among the visitors that have come to learn about Helsinki’s progressive approach to cycling.